The other half of Panopticon's opus "On the Subject of Mortality" is contained on this split with the always amazing When Bitter Spring Sleeps (the other half is on the split with Skagos). Pre-order now from Pagan Flames. 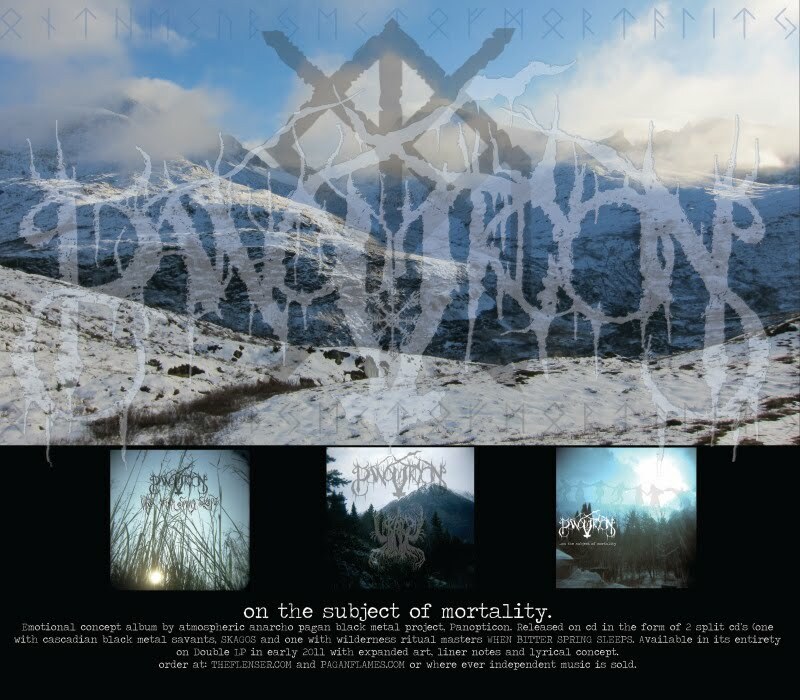 If the idea of a "On the Subject of Mortality" boxed set interests you, check out Panopticon's myspace. And just to remind you, you can pre-order the Panopticon/Skagos split from Flenser Records.